All new for 2017 is the Piaggio Liberty. This all-new vehicle features a 16" front wheel and 14" rear wheel to give enhanced stability at higher speeds. That secure feeling, combined with the latest in modern design features like LED lighting, chrome accents and optional digital connectivity makes this a top choice for all customers. This scooter is a pioneer for new technology at this price point. Both 50cc and 150cc receive the newly developed i-Get engine with increased fuel economy, lower emissions, longer service intervals, a barometric sensor for high altitude operations and a more pleasing exhaust note. What makes the 50cc special is that it's a fuel injected 50cc, thanks in large part to the modular architecture of the i-Get engine. 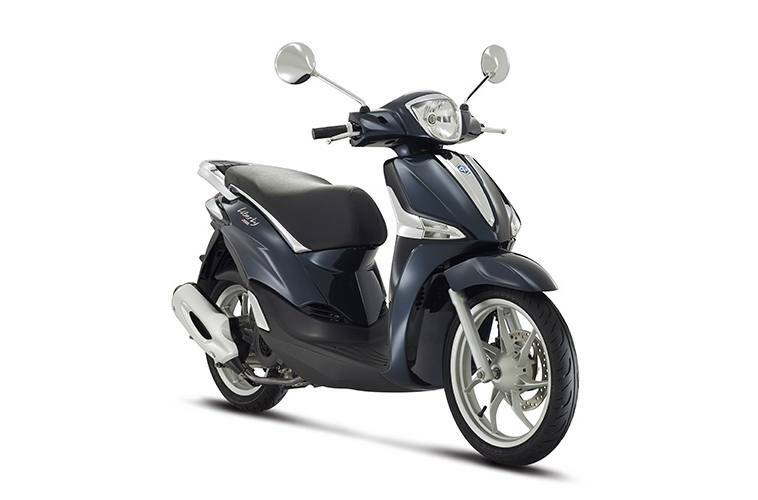 The 150cc gets the safety of ABS brakes. 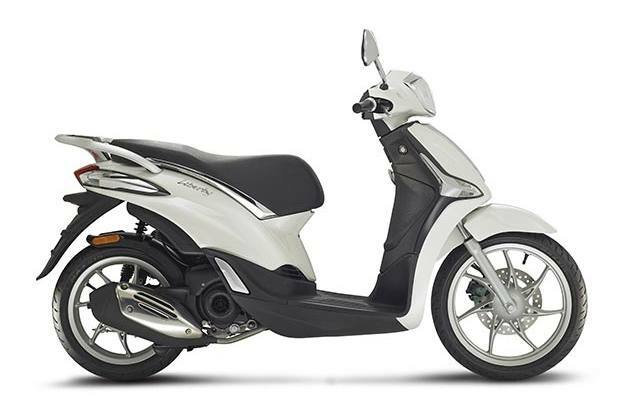 Both the fuel injection of the 50cc and the ABS of the 150cc versions make this vehicle a class leader in specs and performance. The S model adds black wheels with machined sides, black accents, black port mirrors and more aggressive paint schemes. In addition to the optional Multimedia kit, there are other commonly requested items like; the speaker system, top box and windscreen. No wonder nearly a million Liberty scooters have been sold worldwide since its introduction. Front tire: Tubeless 90/80 – 16 in. Rear tire: Tubeless 100/80 – 14 in. All 2015 and newer Piaggio scooters include: 2-year unlimited-mileage warranty. *Limits are outlined in the warranty booklet. See dealer for details. Tubeless 90/80 – 16 in. Tubeless 100/80 – 14 in.